At Gardner’s Mattress & More, we are blessed with some awesome customers. 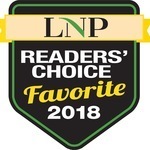 So much, that our customers have voted Gardner’s the “Favorite Mattress Store in Lancaster, PA” for the third straight year! Thank you! We love it when our customers tell us about their experience with Gardner’s and the good night’s sleep that they are now enjoying. We’d love for you to be part of the conversation too! Leave your comments and testimonials below! These are all real testimonials transcribed into our blog. To check out the original versions, click here! Loved our book, What Is Keeping You Up At Night? 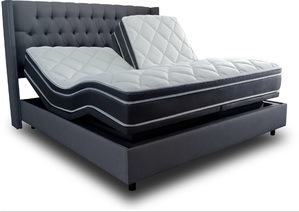 Interesting/frustrating time mattress shopping this morning…. I went to 6 places I believe… ended up at Gardner’s by Park City Mall and they were way better than the competition…prices/service/employees/showroom, definitely recommend! Traveled to this store from MD for the broad selection of quality mattresses. We were impressed by the sales staff’s knowledge and friendliness. Definitely worth the trip! Ben & Staff, Just wanted you know just how much we love, love, love our Split King Tempur-Pedic with the Ergo base, we really love the massage worth every penny! Your delivery guys were professional, friendly, and helpful, showed me a trick how to put on the split dust-ruffle. We are very satisfied customers. Thanks Pete and Ben for all your help! I will be sleeping soundly tonight. Zzzzzz. I just wanted to thank Gardner’s for a great mattress buying experience! My husband and I appreciate the relaxed and honest atmosphere from Ben. We felt no pressure and felt that Ben was super knowledgeable about the products. The delivery guys were great, and professional.I loved the added bonus of the Sugar Whipped pops… they were divine! I had one right before I enjoyed my first night in my icomfort! 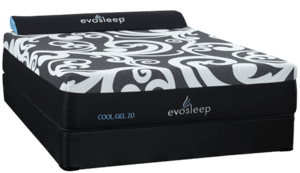 Our mattress is great, and when we need another one…. we will head DIRECTLY to Gardner’s 🙂 Thanks again!! We just bought our 3rd mattress from Gardner’s over 7 years. We keep going back for the terrific people, fair prices, and excellent service. Check out the ‘Dream Room’ where you can arrange to test a bed for several hours. Thanks Ben, see you next time. Anonymous Person Loves Us Too! Hello Gardner’s, I just wanted to let you know that I thought your recent mailing advertisement was awesome 🙂 I Read the whole thing and wanted to encourage you in the great work that you are doing! We bought our mattress from Gardner’s and we will definitely be coming back the next time we need a mattress. Good Job. My wife & I LOVE our Tempurpedic….LOVE LOVE LOVE LOVE IT!!! Gardner’s is great! We had just moved here from Florida & happened to come across this store. We spoke with the sales manager Ben & we ended up buying both of our daughters furniture there. We received a great deal, they delivered it & set it up. We’re going back there for more. I bought my bedroom furniture from Gardner’s. It is wonderful quality, I love it. They delivered and assembled it for us. Gardner’s has a nice showroom along with friendly, helpful, knowledgeable staff. They’ve been in the furniture business a long time. We bought our mattress from Gardner’s. They’re awesome! PS – if you’re looking for a mattress, check out Gardner’s (in the outer strip of the Park City Mall). Turns out the owner is the friend of a friend. Great guy with competitive prices. Supporting local business is way cooler than being a number at Mattress Warehouse! And if you’re reading this because you googled Mattress Warehouse… skip it and go to Gardners’s. U guys rock! Much more help than the big stores in the mall. Thank you so much! After reading the blog, and agreeing with their “buy local” philosophy, we paid a visit to Gardner’s! We rolled in about 6:40 PM (they close at 7:00 PM). This was going to be a true test of customer service. We were very impressed. As the hour hand arrived at 7 and the minute hand kept turning, there was never an indication they “wanted us to leave”! We tested mattresses from best to average. Pete was very helpful and there was absolutely no pressure! We would recommend Gardner’s to anyone! Dear Gardner’s Mattress & More: Thank you, thank you, THANK YOU! We are loving the Zero Gravity Massage chair at The Candy Factory! Thanks to Gardner’s Mattress & More for delivering and assembling our new bed frame and mattress. Looking forward to sleeping! 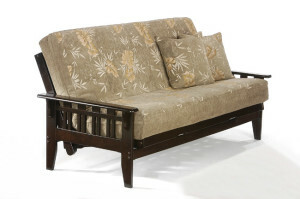 We just want to say thank you for the kindness when you sold us the mattress set the last day of 2011. The gentleman was patient as we tried different mattresses and wanted us to be very satisfied with what we bought. We are happy with the new bed. We were offered coffee & tea. The gentleman that sold us the mattress it was his last day of work. I sure hope he enjoys his retirement. Bless you all. Bought a bed for our son today…nice selection of kid’s beds, a great deal and great service. A nice relaxed atmosphere where we could take our time and think about what we wanted to do. Dear Ben & Staff at Gardners, On New Years Eve afternoon my husband and I came in looking for a TempurPedic bed. We met Ben after a few minutes of browsing. Ben was very kind and listened to our needs and reservations about purchasing a TempurPedic bed. He emphasized the importance of taking our time and “trying out” many beds. We found our match quite quickly and decided to take the plunge! IN one week we had our new bed delivered. I can say that the past three nights have been wonderful! I didn’t realize how unrested I really was each morning. Now I buzz around the house in the morning almost as fast as my 2-1/2 year old son! More importantly, my husband had neck surgery 3 months ago and has not slept for more than 3-4 hours at a time. On the first night with the TempurPedic – he slept 13 hours!! WE LOVE, LOVE, LOVE our new bed! It is worth every penny! I will recommend TempurPedic AND Gardner’s to everyone I know! Thank you for reviving our lives! If you need a mattress, you need to go see Ben @ Gardner’s Mattress & More! He will give you service that I believe in. We are recommending Gardner’s to all of our friends and family!! Dear Ben & Doug, Thank you so much for all your help & knowledge in helping us with picking out what would turn out to be what we feel has been one of the most important purchases we have made together! 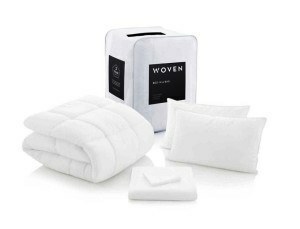 We love our memory foam mattress system and pillows. Best nights sleep ever! Thanks again! Hi Doug! Thank you so very much for taking all the time that you did to help me & Gary pick out the Perfect Bed! 🙂 Our Natural Response with the Pillow Top is awesome! We’ve spent 2 nights on it and Love it! The money was well spent! I still have an incision on my leg and can now lay on that side only while in that bed. We’ll be back for more! Thanx so much.